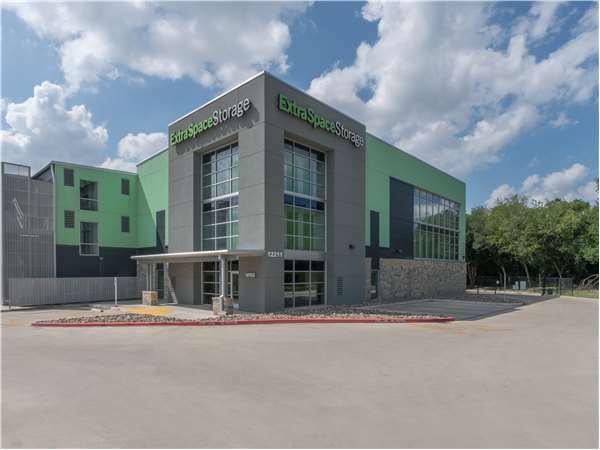 Located on I-35 just west of Judson Rd, Extra Space Storage serves San Antonio residents near Monterrey Village, Randolph Hills, Live Oak, and El Dorado. Locals will recognize our facility next to Sam's Club and Legend Mazda on I-35 Frontage Rd. People make a place, and the people I've interacted with here have made this storage company golden in my eyes. Also the facility is clean and conveniently located with reasonable prices - what's not to like! When I found out me and my wife were having a baby, I didn't hesitate to look into this storage unit. My parents have a unit here and it's a fantastic place! You'll never find this place dirty and you'll always feel safe being in here. The location is at a very peaceful area, and it's easy to access to. If you want a safe clean friendly affordable unit, this is the one! The clerk is very professional and patient. The building is always clean inside and out. But he AC never seems to be on although they say it is climate controlled. Also, if you reserve online, and are offered a discount, take pictures of the conversation in order to get it honored. Because the clerk says they don't notify them of thing like that. The storage facility setup makes moving in easy, moving out just as simple, and the workers are helpful, caring, knowledgeable, and they make the whole process so wonderful. The rates are amazingly cheap compared to others in the area, and I just couldn't have been luckier to find them! The location on 35 is very convenient for us, it's very clean, have lots of carts to move stuff in and out. Staff is very friendly and the prices were great! This is the cleanest and safest looking storage facility I have ever been to. Their front desk staff is very knowledgeable and was willing to assist to get the right size for our family's needs! I highly recommend them! Lots of moving carts, quick elevator, great lighting, and just super friendly! Made reservations on line went day of move in and got unit. Fast & easy. Everytime I went to put things into the unit facility was clean. The workers were friendly and helpful. They also have moving carts available for your use. Makes it easy to unload. Rachel & Steve were the workers that helped me. Great job. The level of customer service here is above and be yond what you'd expect. Steven and Raquel are amazing!!!! Steven, helped me with the whole rental process and was extremely helpful and kind the whole time. Also, the facility is extremely clean and well lit inside and outside. If you're close to 35N, see Rachel. She's a super salesperson, very friendly and approachable. Yes, she will explain everything to you so there is no misunderstanding. She will let you view different units, and she will explain how things operate. Everything is explained, A-Z. If you are traveling 35 N you want to exit 170-A Judson Rd make a left on Judson and another Left onto the frontage rd pass the Exxon and Sam's Club we are on the right side before you get to Legend Mazda. If you are on Toepperwein Rd drive down up to Judson Rd making a left continue under IH-35 turn left onto the frontage rd. We are just pass the Sam's Club. If you reach Legend Mazda you past us. Off 1604 & Judson (inside) the Loop drive down Judson Rd passing Stahl Rd, Keep going forward pass Nacogdoches, Pass LOOKOUT rd take a right onto the frontage rd of IH 35. We are just pass the Sam's Club. If you reach Legend Mazda you past us.